Tiberias (Hebrew: טְבֶרְיָה, Tveria; Arabic: طبرية‎, Ṭabariyyah) is a city on the western shore of the Sea of Galilee (also called the Kinneret), Lower Galilee, Israel. Established in 20 CE, it was named in honour of the emperor Tiberius. 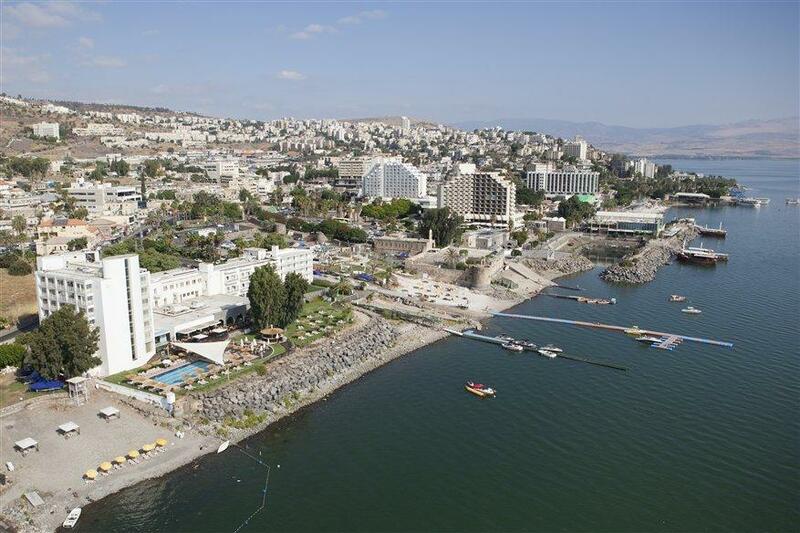 Tiberias was venerated in Judaism from the middle of the 2nd century CE and since the 16th century has been considered one of Judaism‘s Four Holy Cities, along with Jerusalem, Hebron and Safed. In the 2nd–10th centuries, Tiberias was the largest Jewish city in the Galilee and the political and religious hub of the Jews of Palestine. It has been known for its hot springs, believed to cure skin and other ailments, for thousands of years. Tiberias was founded sometime around 20 CE in Herodian Tetrarchy of Galilee and Peraea by the Roman client kingHerod Antipas, son of Herod the Great. Herod Antipas made it the capital of his realm in the Galilee and named it for the Roman Emperor Tiberius. The city was built as a spa and developed around 17 natural mineral hot springs. It was populated mainly by Jews, with its growing spiritual and religious status exerting a strong influence on balneological practices. The Jewish oral tradition holds that Tiberias was built on the site of the Israelite and later Jewish village of Rakkat, first mentioned in the Book of Joshua. In Talmudic times, the Jews still referred to it by this name. 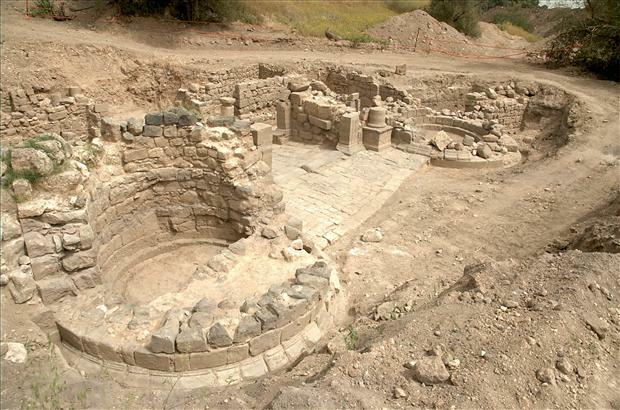 Conversely, in The Antiquities of the Jews, the Roman-Jewish historian Josephus calls the village with hot springs Emmaus, located near Tiberias. This name also appears in The Wars of the Jews. In the days of Herod Antipas, some of the most religious (as opposed to Hellenized, including Cohanic) Jews refused to settle there; the presence of a cemetery rendered the site ritually unclean for the priestly caste. Antipas settled many non-Jews there from rural Galilee and other parts of his domains in order to populate his new capital, in an early recorded case of forced gentrification, and built a palace on the acropolis. The prestige of Tiberias was so great that the sea of Galilee soon came to be named the sea of Tiberias; however, the Jewish population continued to call it ‘Yam Ha-Kinerett’, its traditional name. The city was governed by a city council of 600 with a committee of 10 until 44 CE when a Roman Procurator was set over the city after the death of Herod Agrippa I. Under the Roman Empire, the city was known by its Greek name Τιβεριάς (Tiberiás, Modern Greek ΤιβεριάδαTiveriáda), an adaptation of the taw-suffixed Semitic form that preserved its feminine grammatical gender. In 61 CE Herod Agrippa II annexed the city to his kingdom whose capital was Caesarea Phillippi. During the First Jewish–Roman War Josephus Flavius took control of the city and destroyed Herod’s palace, but was able to stop the city from being pillaged by his (loyal to Rome) Jewish army. Where most other cities in the Provinces of Iudaea, Galilee and Iudemea were razed, Tiberias was spared because its inhabitants remained loyal to Rome, after Josephus Flavius had surrendered the city to the Roman emperor Vespasian. It became a mixed city after the fall of Jerusalem in 70 CE; with Judea subdued, the southern Jewish population migrated to the Galilee. There is no direct indication Tiberias, as well as the rest of Galilee, took part in the Bar Kokhba revolt of 132-136 CE, thus allowing it to exist, despite a heavy economic decline due to the war. Following the legal expulsion of all Jews from Jerusalem after 135 CE, Tiberias and its neighbor Sepphoris became the major Jewish cultural centres, competing for status with Babylon, Alexandria, Alleppo and the Persian Empire. In 145 CE, Rabbi Shimon bar Yochai who was very familiar with the Galilee hiding there for over a decade, “cleansed the city of ritual impurity”, allowing the leadership of the people to resettle there, from Judea Province where they were fugitives. TheSanhedrin, the Jewish court, also fled from Jerusalem during the Great Jewish Revolt against the Roman Empire, and after several attempted moves, in search of stability, eventually settled in Tiberias in about 150 CE. It was to be its final meeting place before its disbanding in the early Byzantine period. From the time when Yochanan bar Nafcha (d. 279) settled in Tiberias, the city became the focus of Jewish religious scholarship in the land. The Mishnah along with the Jerusalem Talmud, (the written discussions of generations of rabbis in the Land of Israel – primarily in the academies of Tiberias and Caesarea), was probably compiled in Tiberias by Rabbi Judah haNasi in around 200 CE. The 13 synagogues served the spiritual needs of a growing Jewish population. Tiberias, or Tabariyyah in Arab transcription, was conquered by (the Arab commander) Shurahbil in the “year 13″ (634 CE) by capitulation; one half of the houses and churches were to belong to the Muslims, the other half to the Christians.” Since 636 CE, Tiberias served as the regional capital, until Bet Shean took its place, following the Rashidun conquest. The Caliphate allowed 70 Jewish families from Tiberias to form the core of a renewed Jewish presence in Jerusalem and the importance of Tiberias to Jewish life declined. The caliphs of the Umayyad Dynasty built one of its square-plan palaces on the waterfront to the north of Tiberias, atKhirbat al-Minya. Tiberias was revitalised in 749, after Bet Shean was destroyed in an earthquake. An imposing mosque, 90 metres long by 78 metres wide, resembling the Great Mosque of Damascus, was raised at the foot of Mount Berenice next to a Byzantine church, to the south of the city, as the eighth century ushered in Tiberias’s golden age, when the multicultural city may have been the most tolerant of the Middle East. Jewish scholarship flourished from the beginning of the 8th century to the end of the 10th., when the oral traditions of ancient Hebrew, still in use today, were codified. One of the leading members of the Tiberian masoretic community was Aaron ben Moses ben Asher, who refined the oral tradition now known as Tiberian Hebrew. Ben Asher is also credited with putting the finishing touches on the Aleppo Codex, the oldest existing manuscript of the Hebrew scriptures. In 1033 Tiberias was again destroyed by an earthquake. A further earthquake in 1066 toppled the great mosque. Six hundred people, including nearly 500 Jews, died when the town was devastated by the 1837 Galilee earthquake. An American expedition found Tiberias still in a state of disrepair in 1847/1848. 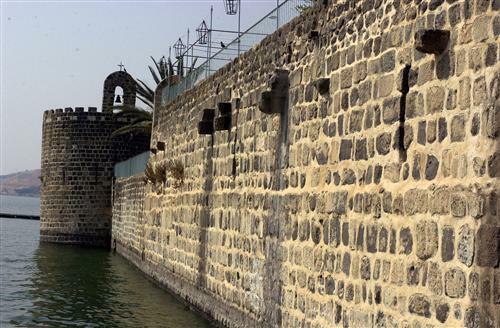 The city of Tiberias became almost entirely Jewish since 1948. Many Sephardic and Mizrahi Jews settled in the city, following the Jewish exodus from Arab countries in late 1940s and the early 1950s. Over time, government housing was built to accommodate much of the new population, like in many other development towns. Over time, the city came to rely on tourism, becoming a major Galileean center for Christian pilgrims and internal Israeli tourism. The ancient cemetery of Tiberias and its old synagogues are also drawing religious Jewish pilgrims during religious holidays. 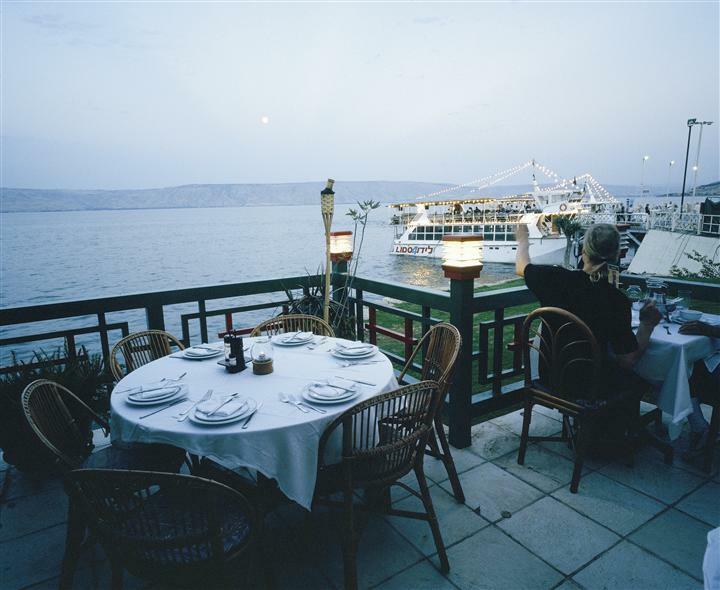 Tiberias consists of a small port on the shores of the Galilee lake for both fishing and tourist activities. Since the 1990s, the importance of the port for fishing was gradually decreasing, with the decline of the Tiberias lake level, due to continuing droughts and increased pumping of fresh water from the lake. It is expected that the lake of Tiberias will regain its original level (almost 6 meters higher than today), with the full operational capacity of Israeli desalination facilities by 2014.